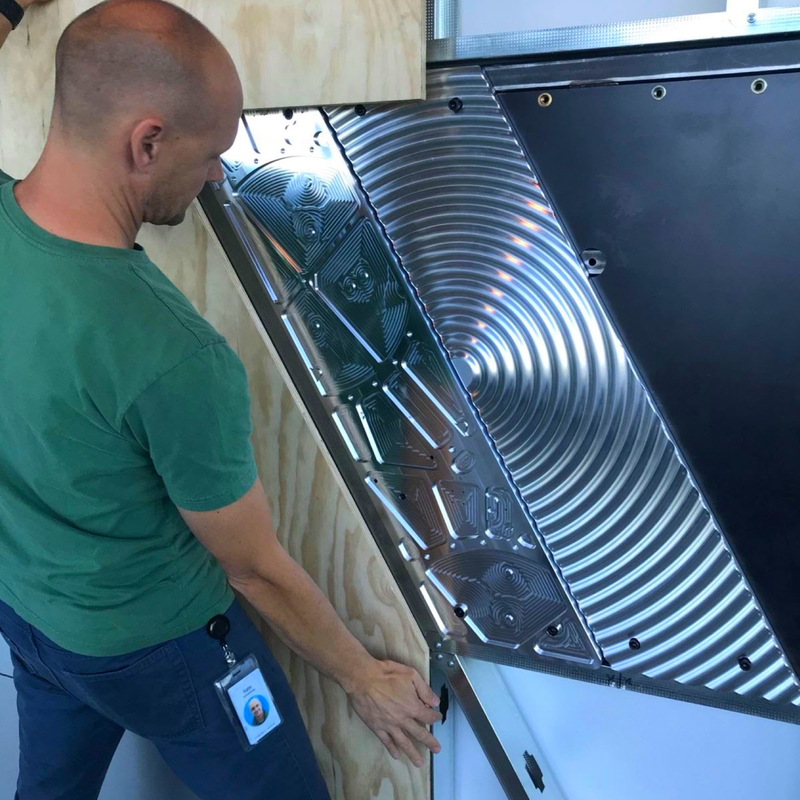 Area 404 is Facebook’s internal hardware development capability, housing a team of prototyping engineers that support early-stage development for innovative concepts across the organization. 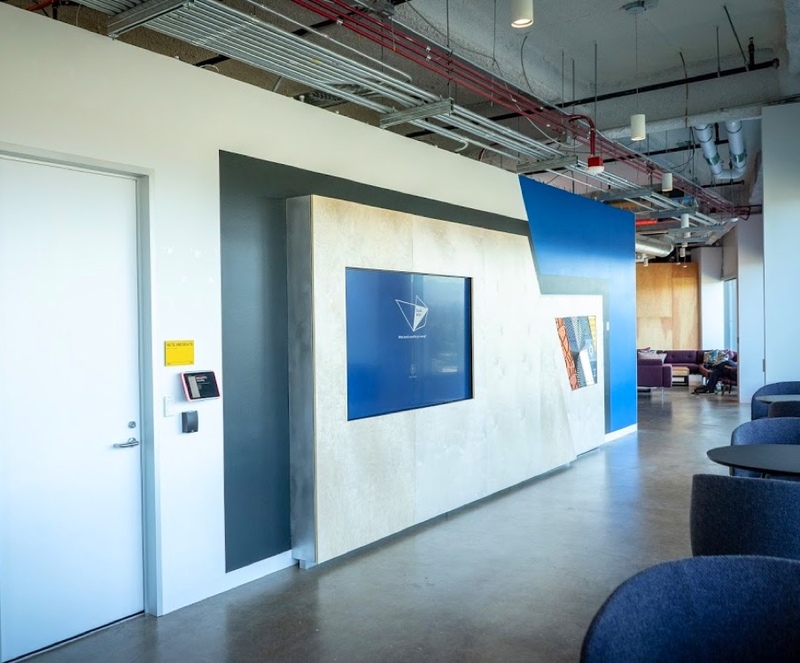 The Area 404 presence includes lab spaces around the world, where engineers are developing hardware in support of Facebook’s data centers, global connectivity initiatives, and future computing platforms. 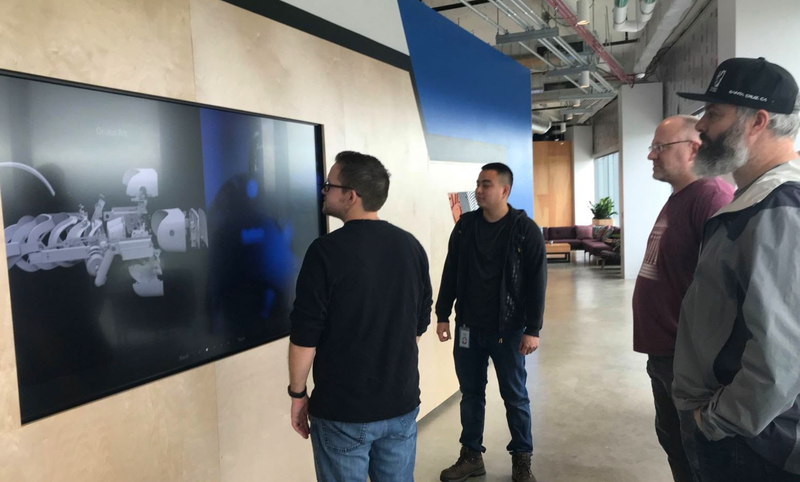 Area 404 approached Arthur to create a physical experience representing innovation at Facebook as well as introducing Area 404’s role in supporting innovation across the Facebook enterprise. Facebook was building a new Partnership Center at their Menlo Park campus. The Partnership Center supports their large-scale sales initiatives by introducing enterprise-level clients to the capabilities of Facebook. 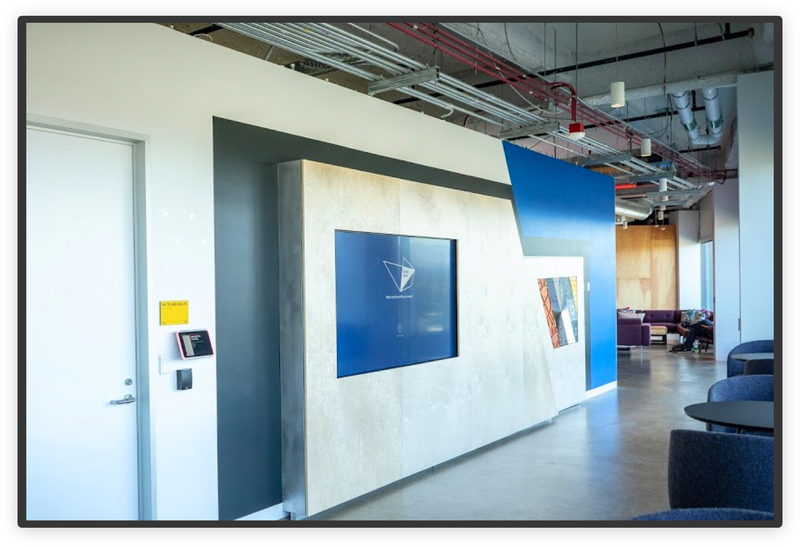 Facebook saw an opportunity to speak more about innovation within their Partnership Center narrative and looked internally to Area 404 to help convey that message. In doing so, Area 404 could be recognized as a vital arm of Facebook’s innovation. Innovation at Facebook is a large, rapidly-evolving subject. The challenge for Arthur was to work with Area 404 in paring down this expansive story to an easily digestible, physical experience that could support their Sales team. This unique experience needed to make a lasting impact on visitors, as it sat alongside other well-known pieces of the Facebook story, like Instagram and Messenger. The experience needed to be scalable. The Flagship location in Menlo Park was the first of three installations, with experiences in Dublin and Singapore to follow. The physical space at each location required a unique, local flavor to be included in some way. We started with an “anything is possible” mindset towards creating an interactive experience. Through stakeholder interviews, we quickly realized this project was about empowering the Sales team. The work for Arthur was to communicate this complicated, fluid subject in a brief and impactful way. This installation fits within the larger Partnership Center sales narrative. To gain full context of this project, it was necessary to understand how the Partnership Center team uses the space. This included everything from their talking scripts to how the team will physically move through the experience and approach each activation with prospective clients. 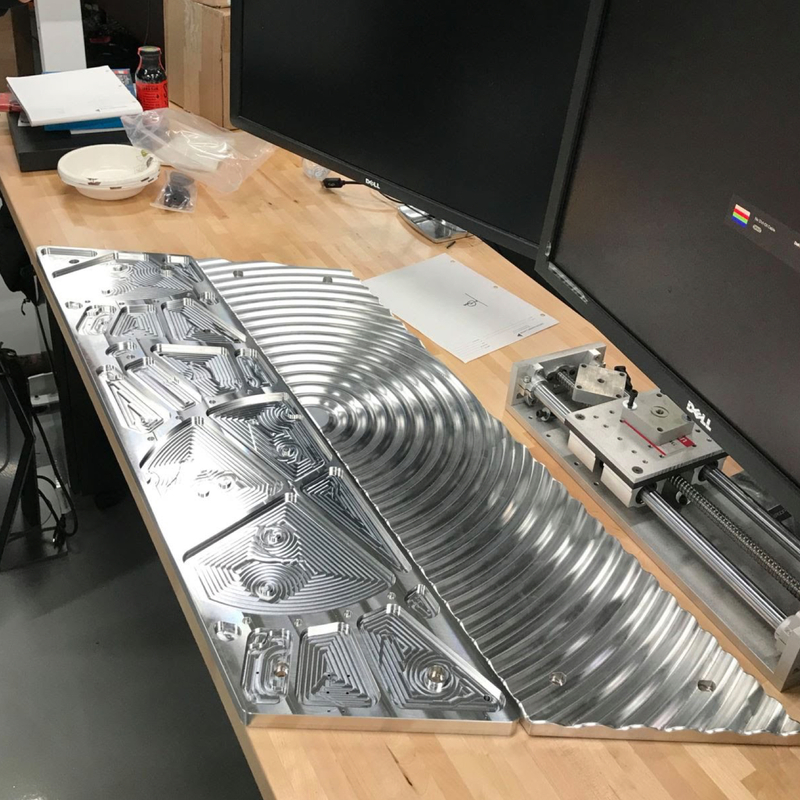 Through exploration, we realized the best execution was a combination of a digital experience that could easily be updated and a physical experience that could be touched, driving home the idea of hardware prototyping. 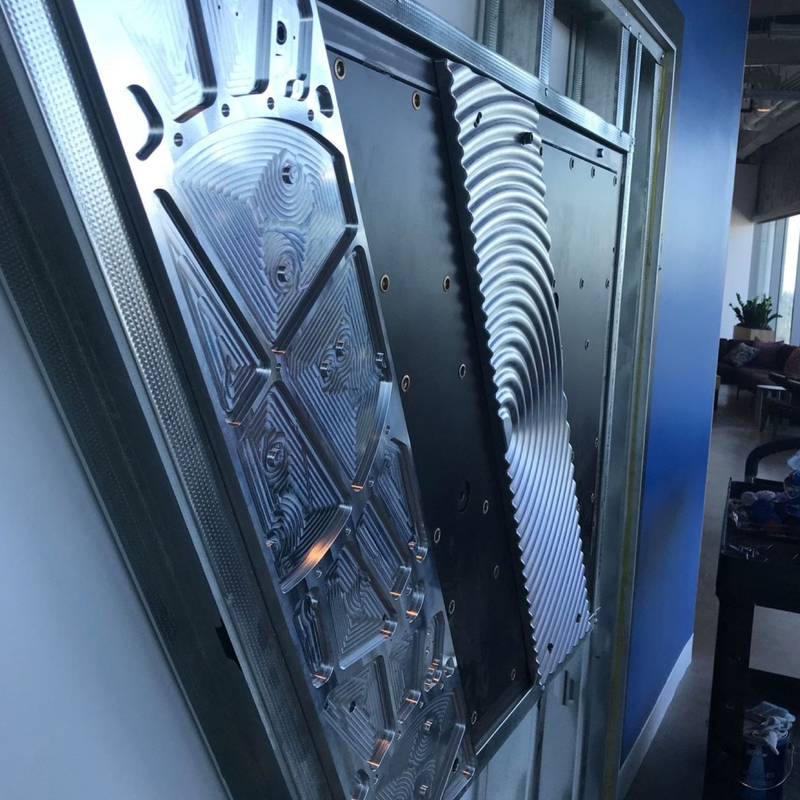 Additionally, the idea wrapped these pieces in a way that conceptually represents Area 404 and accommodates the best presenting experience on-site. We worked with the Area 404 and Partnership Center teams to create digital content to be assembled into a small, interactive application the Sales team could walk through with visitors. 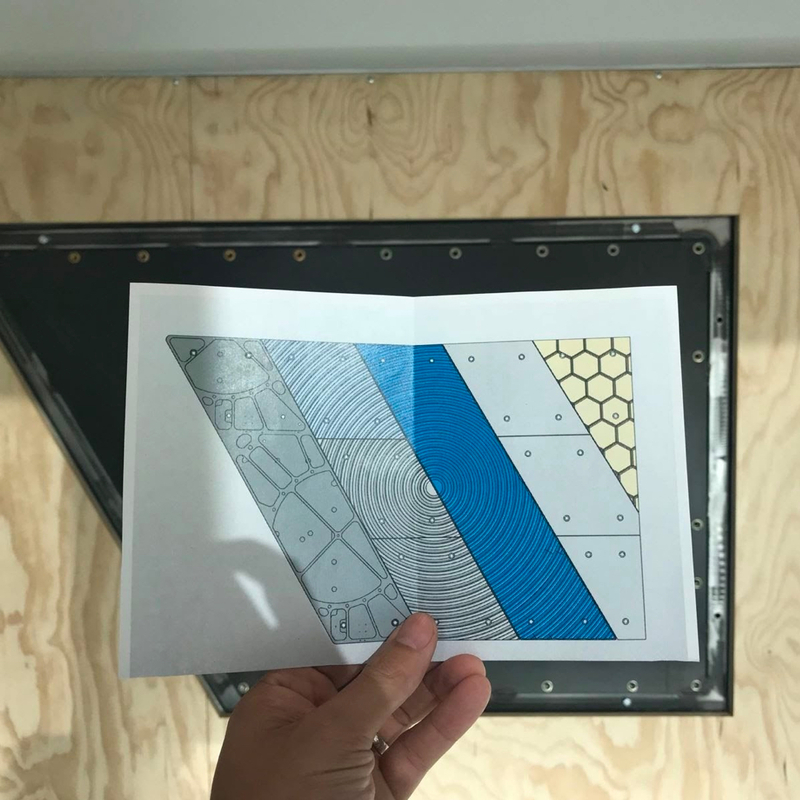 We worked with Area 404 prototyping engineers to create a series of “sample tiles,” which are physical tiles that guests could touch and interact with. Each tile represented a short story relating to Area 404’s involvement with innovation projects and their production capabilities. 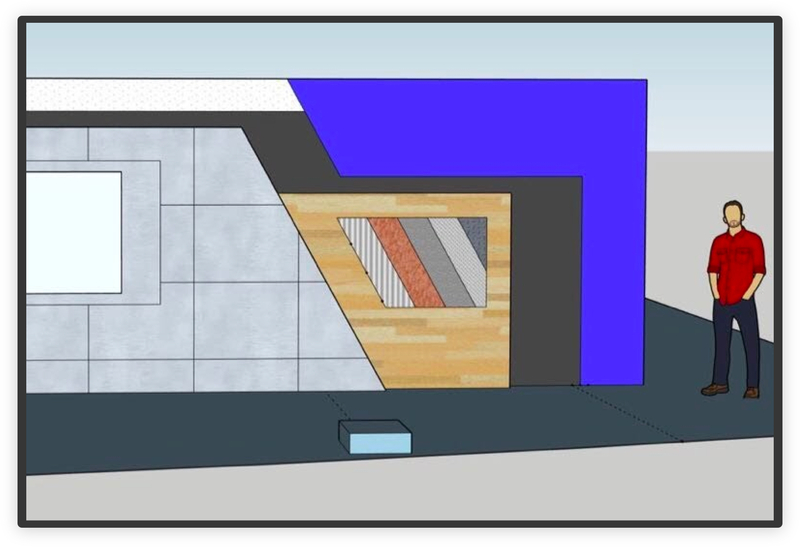 Design inspiration for the overall installation was drawn from the physical elements of Area 404’s labs, including colors, materials, and textures. We optimized the larger composition of the installation for the physical location within the Partnership Center. It also reflects a directional flow which pairs with the narrative of the piece and guides visitors through the space. We sourced multiple vendors to build and install the majority of the installation. This involved video calls and site visits to ensure design intentions were communicated clearly and materials and production were up to spec and on schedule. Approaching the launch date we faced a unique challenge with our initial vendor for our installation structure. Without losing a step, we made quick decisions and sourced a more capable vendor to close out the project within our timeline and budget. 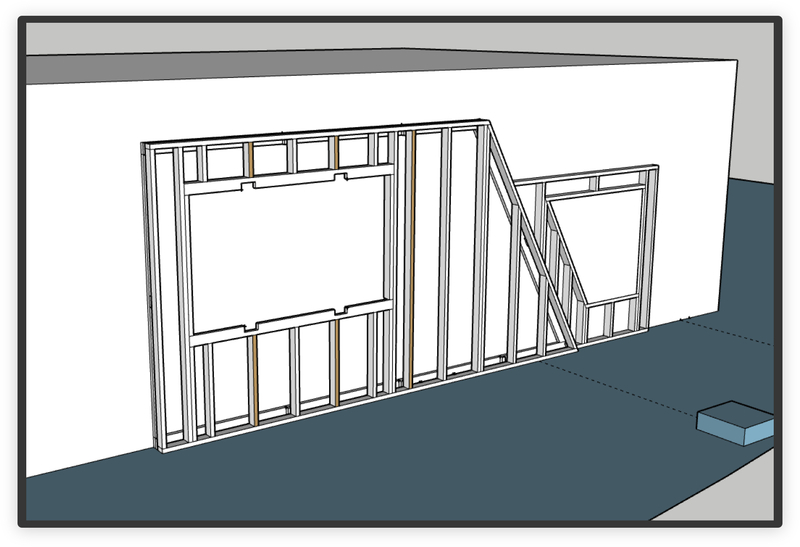 This was a combination of project management and iteration. We worked with multiple parties and vendors to install the larger elements of our piece. For the digital experience, we partnered with the internal Facebook IT teams to iterate and finalize the application. As a cohesive group, we adjusted and evolved our “sample tiles” with the Area 404 team after on-site user tests, ultimately landing on the correct experience that enables the Sales team to be successful. A key moment in the project came during the content strategy phase. After multiple stakeholder interviews and writing exercises, we concisely articulated key points of the innovation story, solidifying the conceptual direction of the installation. This allowed us to begin iterations of the physical execution, creating content for the sales team, the digital application, “sample tiles,” and establishing alignment with stakeholders across multiple teams. In addition to evolving the Partnership Center experience for Dublin and Singapore, we’re currently working with Area 404 on installations across multiple lab locations. We plan to create pieces that showcase Area 404’s capabilities and enhance the overall experience for anyone visiting or working in their labs. Want to stay on top of our upcoming projects with Facebook?